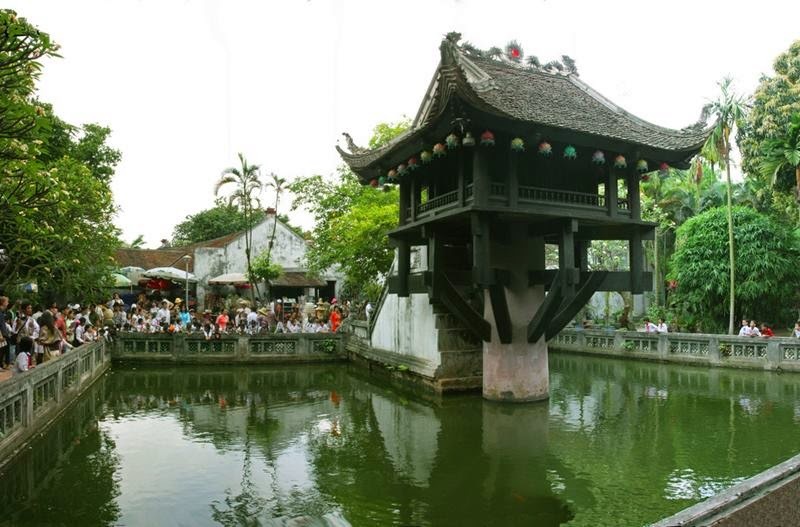 The One Pillar Pagoda is a historic Buddhist temple, in Hanoi, the capital of Vietnam. 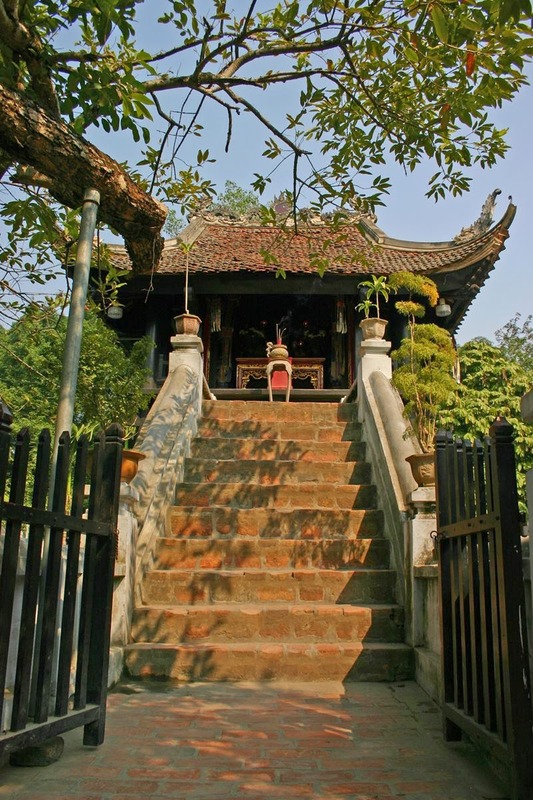 It is regarded alongside the Perfume Temple, as one of Vietnam's two most iconic temples. 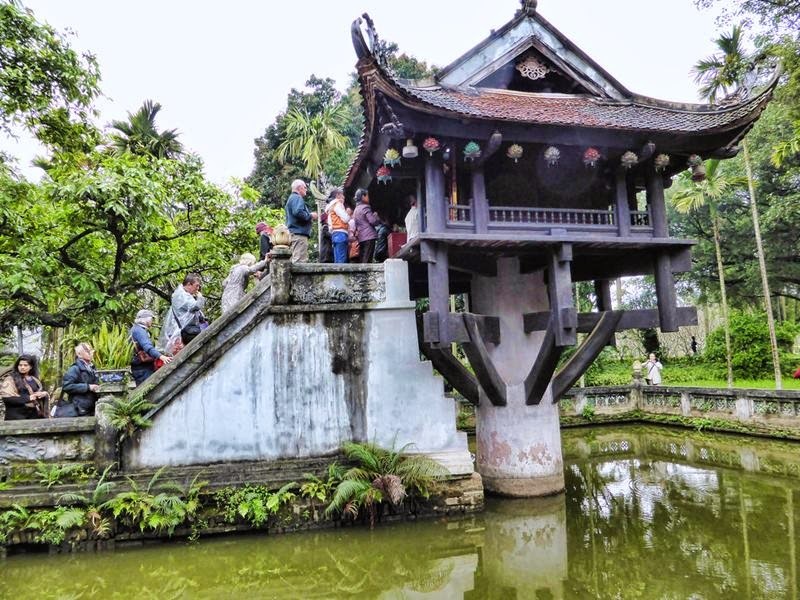 The Pagoda is among a small artificial lake, surrounded by green gardens where trees and a couple of wooden benches are perfect allies to regain strength. This small and curious Buddhist temple is unique in the world, since its structure, inspired by the Lotus, has not been replicated in any other city in the world. 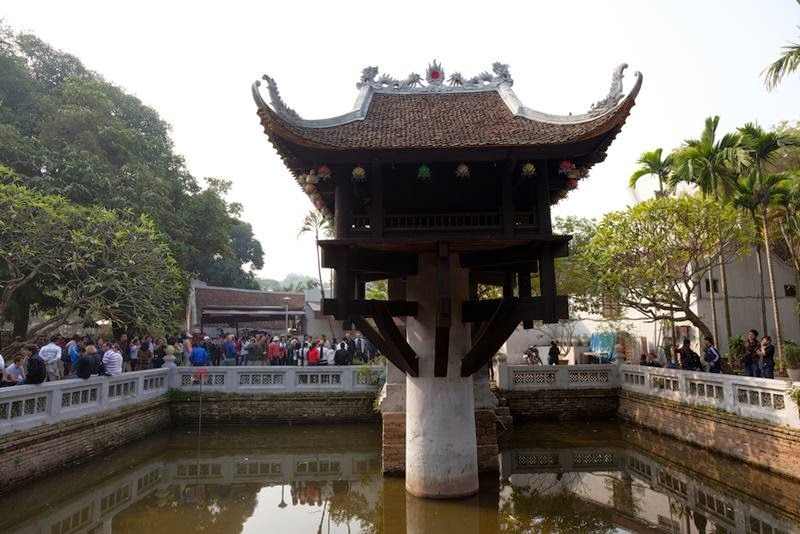 What has led to this Pagoda to become one of the icons of the city of Hanoi. According to legend, ageing Lý Thái Tông of the Ly dynasty, ruled from 1028 to 1054, who had no children, used to go to pagodas to pray to Buddha for a son. 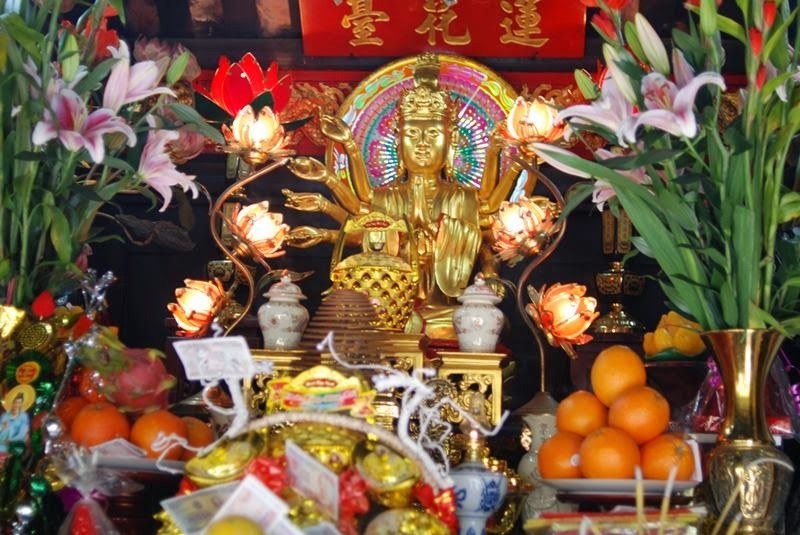 One night, he dreamt that he was granted a private audience to the Bodhisattva Avalokiteshvara, who was seated on a great lotus flower in a square-shaped lotus pond on the western side of Thang Long Citadel, gave the King a baby boy. Months later, when the Queen gave birth to a baby boy, The emperor ordered to constructed the temple in gratitude for this in 1049, supported by only one pillar to resemble the lotus seat of his dream in the honor of the Bodhisattva Avalokiteshvara. According to a theory, the pagoda was built in a style of a lotus emerging out of the water. 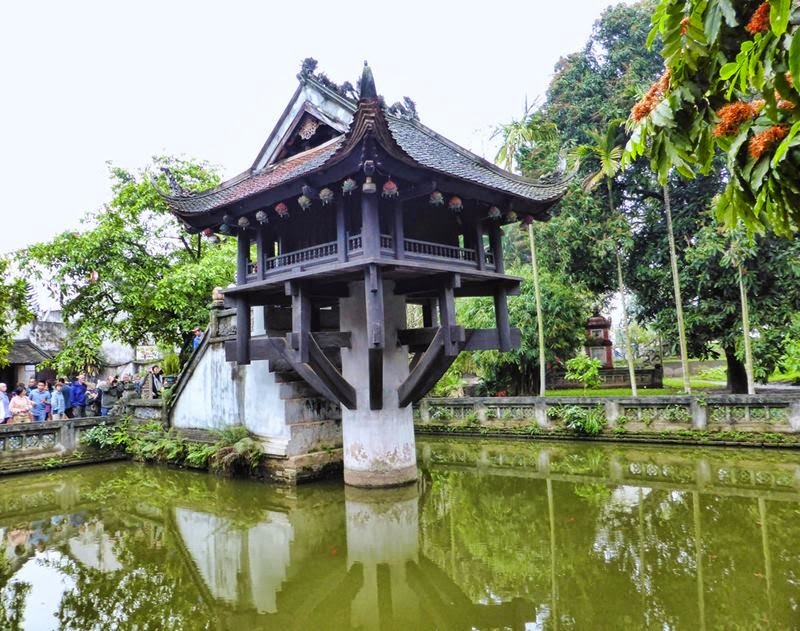 The temple is built of wood on a single stone pillar 1.25 m in diameter, and it is designed to resemble a lotus blossom, which is a Buddhist symbol of purity, since a lotus blossoms in a muddy pond. 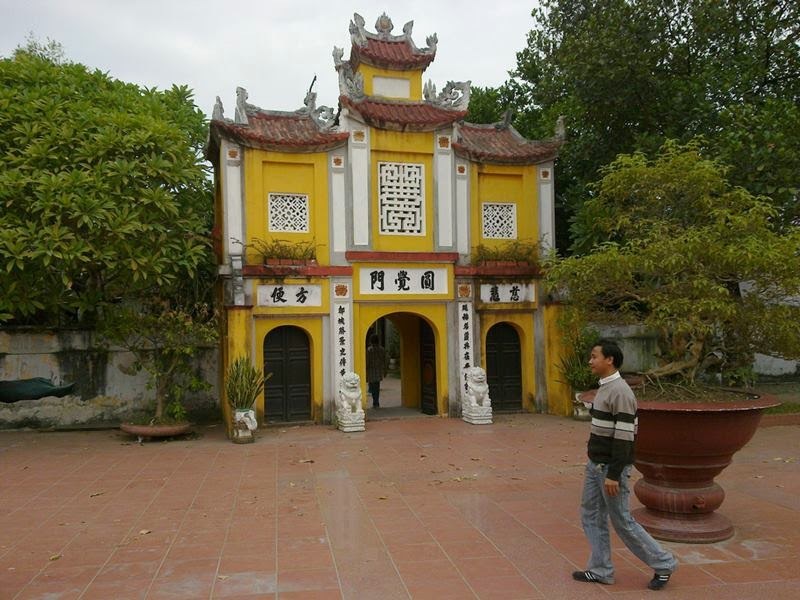 In 1105, King Ly Nhan Tong extended the pagoda and added Linh Chieu bond. However, time has erased everything but the limited area like what we see now. 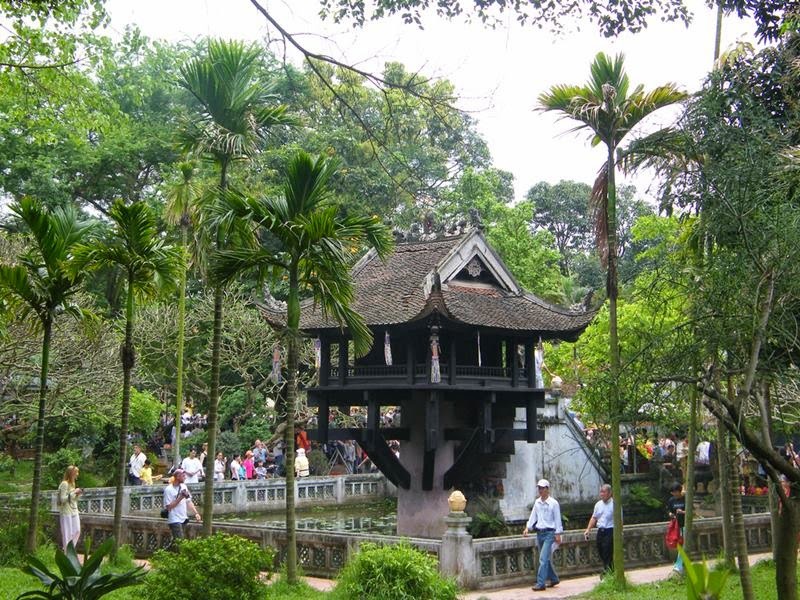 In 1954, the French Union forces destroyed the pagoda before withdrawing from Vietnam after the First Indochina War, It was rebuilt afterwards. 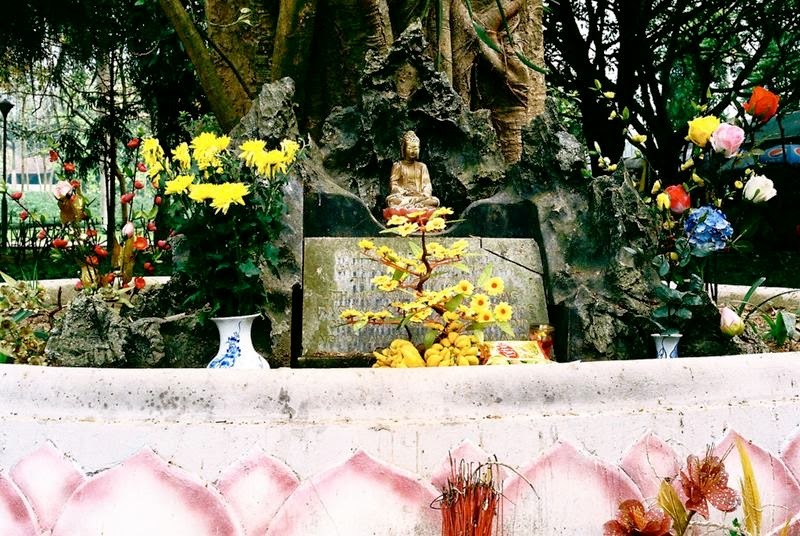 Near the pagoda there’s a bodhi tree. This is the gift from Rajendra Prasad- Indian presidents to Ho Chi Minh President. 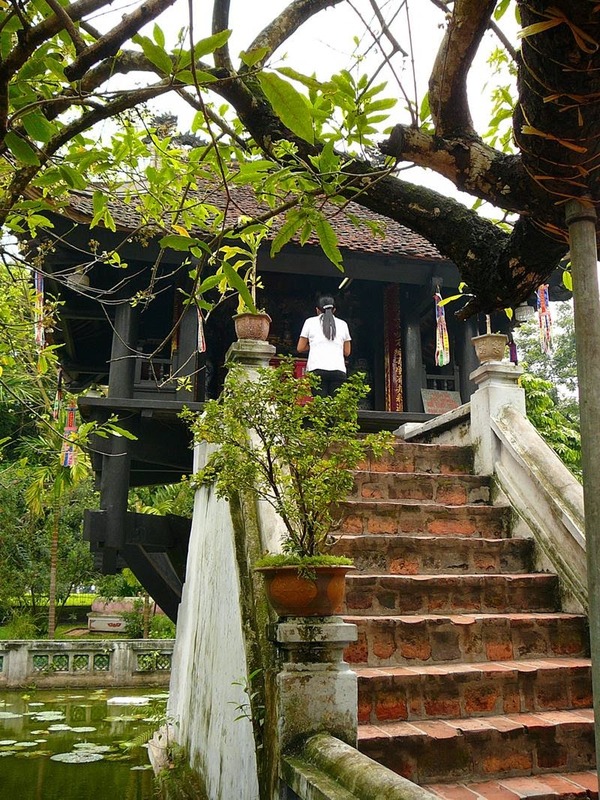 Today's structure can be just called the replica of the original pagoda, which was a large building. 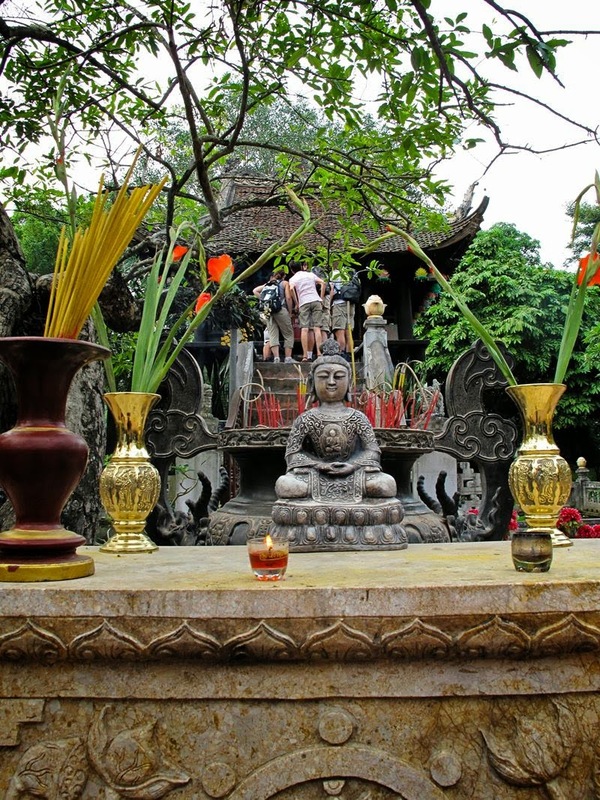 Locals believe that if you pray here, it will invoke well-beings and prosperity.